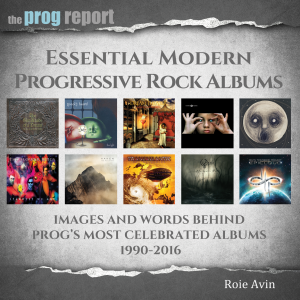 There are a number of prolific artists in prog rock and you can add Guy Manning to the list. Guy Manning has had a long career with his own solo band Manning as well as working with The Tangent and United Progressive Fraternity. 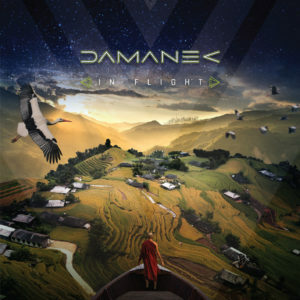 Last year he released the debut album for his new band Damanek called ‘On Track’. 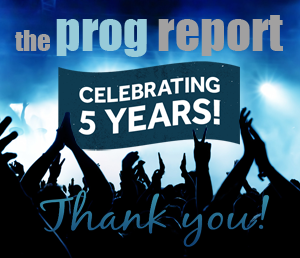 Now comes the release of that group’s follow-up ‘In Flight,’ another mix of prog and world music. We caught up with Guy and asked him about the new album, which you can read below. How quickly did this album come together as opposed to the last one? The writing is always quick. I got used to producing a MANNING album every year and I released 15 of those from 1999 onwards plus I fitted in 4 Tangent albums and a UPF album and 2 Colossus Project works (La Voce Del Vento) at the same time…so I have a healthy work ethic!! The wait comes when trying to get free time from the others to provide the parts we need and then the back/forth of arrangement updating, mixing and production. Plus, organizing the artwork too. What inspired the songs on this album? We would have to go through each one individually to get a full answer to that question. On the Damanek Web site (www.damanek.com) there is an ‘IN FLIGHT’ sub site where each song has page with lyrics and background context from me on the subject matter> As an over-arching theme (not quite a concept), all the songs deal with journeys of one type of another – Migratory, physical, flights of fancy, emotional, back in time/remembered. There were the starts of some pieces left over yes, as I always write more than we need to give the others a choice of pieces to work on. There are more left over now if we decide to do an Album #3! Is it the same band as before, any guests? Less ‘famous’ guests than on “On Track”. “In Flight” features the core quartet of myself, Sean Timms, Marek Arnold and Dan Mash, plus guests Brody Green and Luke Machin, Raf Azaria, Antonio Vittozzi, Tzan Niko, DavidB, Julie King, Kev Currie and the Gospel Collective and Jones Commentary (Gospel choir). It is song about the darkness that resides in our inner fears and imagination, A primal song in which the Crawler (the focus of the darkness) speaks, mocks and taunts us for our weaknesses. The long 3 part epic at the end, Big Eastern, is amazing. How did that song develop? It developed from a nice powerful strings riff I had over a nice quirky rhythm. It had at the very start a sort of oriental feel to it and so that got my mind working overtime. I had an idea about how hard it must have been in rural poorest China for a young family living a subsistence life literally having to get on their hands and knees to pull crops from the under nourished soil. Once I had them in my minds’ eye I wanted to contrast how a group of teenagers (same age) had it living in New York and compare East with West. (That is Part One – Cruel Skies). The Chinese farmers there also deal with natural disasters, earthquakes, floods etc. and so a migration started to move them from their homelands to the West Coast of America (San Francisco, Chinatown). Part Two (The Shaking Earth) describes the natural upheavals from nature’s POV! Part Three (A Life in Chinatown) sees the new generations of the migrants now living in the West and finding it hard to reconcile their traditional ways of life with a creeping and insistent modernisation found in their new life and settings. The new generations did find it hard to balance and stay true and so, inevitably, trouble ensued. The events of the Golden Dragon Massacre actually happened with Joe Fong and his gang being held accountable. 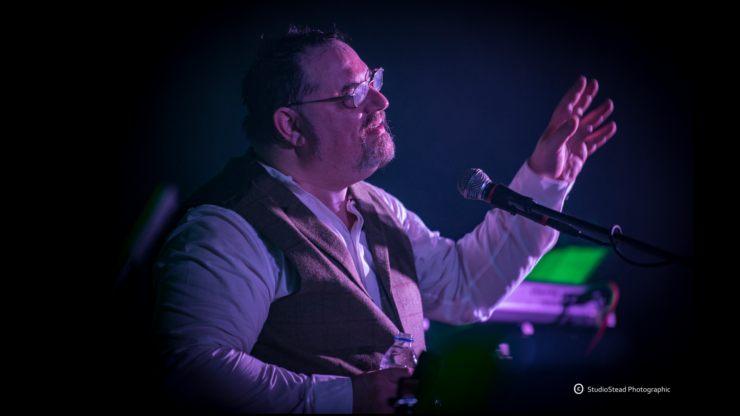 I do tend to really research the ideas behind the stories and lyrics to make them informed and accurate and also allow me more freedom to set the scene without having to be too prescriptive and linear. The last album talked a lot about world and humanitarian issues. Was that your similar approach to this album? Not as much this time around. I wanted to examine the human condition more on this album. So, the listener is put in the passenger seat besides the main characters in the narratives to experience and ‘see’ what they are going through and why. These themes are equally compelling to me, but I have put in less of the ‘preaching’ this time around. One of the best elements of the band is your use of saxophone/clarinet. It is Mainly Soprano Sax…not Clarinet this time (only on BIG PARADE from “On Track” does he do that so far). Marek is very gifted man! He also did some Seaboard work to provide the odd/quirky sound textures in some of the pieces. And who writes those melodies? Depends – if it is an ensemble part and has to play an important set melody or counter point melody then I will have written that in my original demos…but, all the freeform solos are by Marek, based on suggestions/directions from me sometimes. 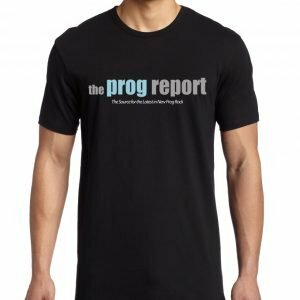 Does the band plan to play more shows now with 2 albums? Oh yes! We would live to do more live work but of course have a big issue to overcome – geographical distances. Sean and Brody in Australia, Marek in East Germany, even Dan and I in the UK are 400 miles apart! We are about to do a tour in November with Southern Empire as partners (plus Seven Steps to the Green Door on the European shows) 8 dates, Germany, Belgium, Netherlands then a 5 night run around the UK. See web site for details!! However, the costs of touring a band such as ours are high, so we try to look for Festivals to support us if possible and give us a good number of listeners too! So….any festival promoters out there, please bear us in mind for 2019!